The 50th Academey of Country Music Awards, Cabela's and 3D Archery set the stage at the Texas Rangers Youth Ballpark on April 18th. 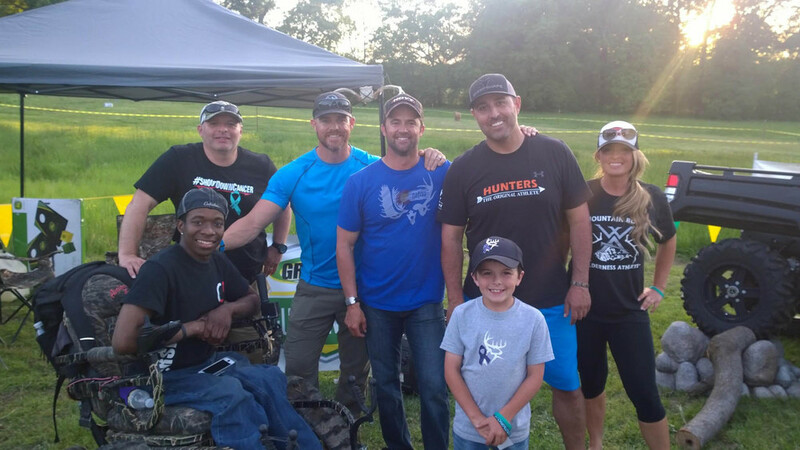 The event hosted by Cabela's brand ambassador's Luke Bryan and Justin Moore set country music fans on fire to take up the sport of archery, featuring the Cabela's Creedence bow. Fans from the around the world were able to watch the event LIVE on Cabelas website. Team Luke- Lucas Hogue, Austin Webb, Kristy Titus, Tyler Farr, Dustin Lynch, Rhett Akins, Willie Robertson, Jep Robertson, and Emily Kempen from Make A Wish Foundation. Team Justin- Wade Middleton, Eric Paslay, Jamie Lynn Spears, Josh Abbott, Zach Martin, Brantley Gilbert, Chase Rice, Casey Donahew and Bryson from Make A Wish Foundation. 3D targets were positioned between 10-30 yards as well known personality Storme Warren was emcee and entertainment for the event keeping the crowd and online audience current on the event progress. Make A Wish Foundation helped Emily Kempen and Bryson's dream to shoot archery with their favorite country music stars come true. Team Luke WON the event with a score of 519 to 459. Rhett Akin won top archer by one point over Kristy Titus, taking home the top archer trophy. We hope that this event inspired viewers to take up the sport of archery! Click HERE to view event photos from the ACM Gallery. Build the strength now to stabilize your shot of a lifetime. You've spent the time researching the best areas and scouting, and you have invested in the best gear. It's time to make an investment in your fitness so that you have the strength to stabilize your shot of a lifetime. Click here to learn more about North American Hunter Magazine or to subscribe.